Bonjour! I have always liked the idea of being a local in a stranger’s land. Waking up early like most of them, and spend my day like how they used to. 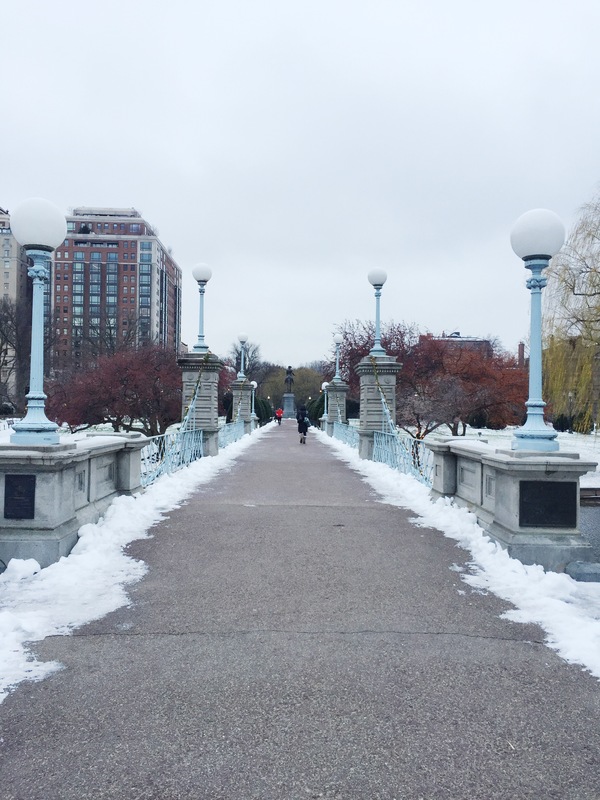 I went to Boston Public Garden early this morning. The Garden is located in downtown, so it is very accessible if you stay in this area, such as Stuart St, Washington St. 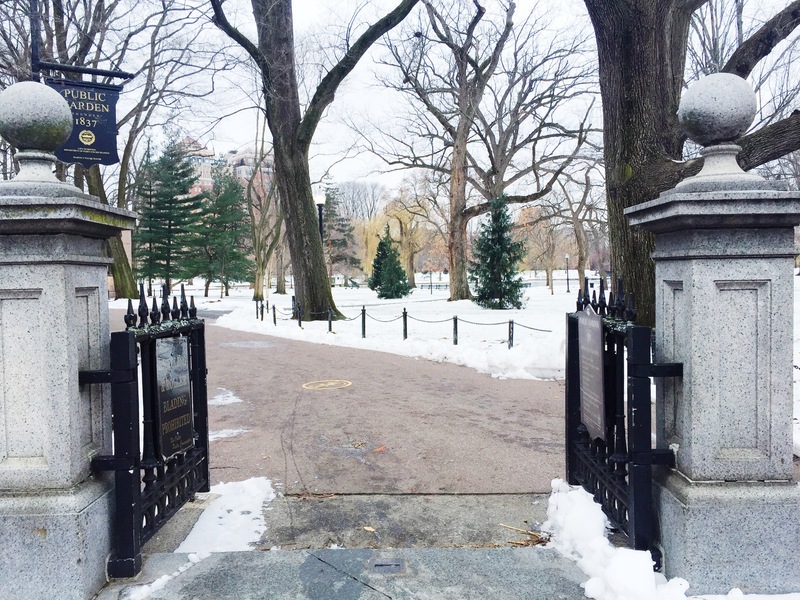 This public garden was established in 1837, and is the country’s first botanical garden. 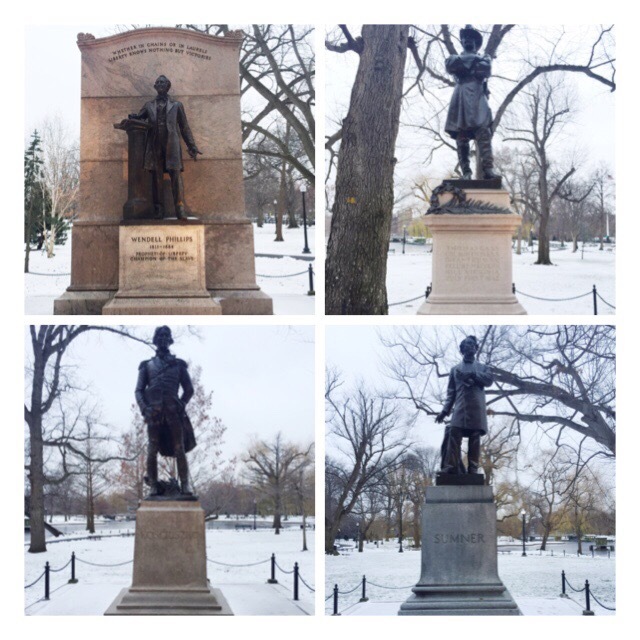 You will see these four status along the way from the garden entrance gate. There are around 80 species of plants and 40 types of exotic trees in this garden. However, since it is winter time, you would not be able to see the beauty of the flower blooms. Meanwhile, there is a lake in the center of the garden, and due to winter time, the lake is half freezed. A bridge is built in the middle of the lake, allowing visitors to pass by the sides of the garden. 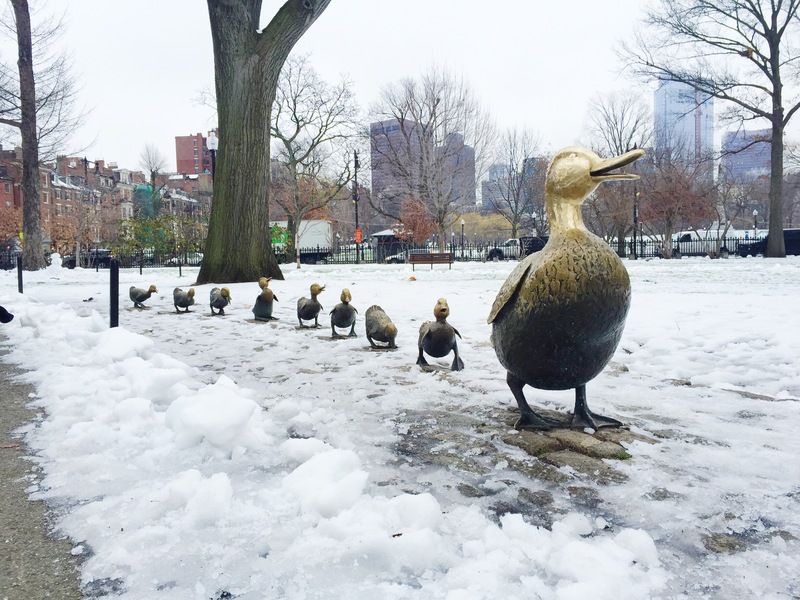 One of the popular attraction of Boston Public Garden is the Make Way For Duckling Statues of Mrs. Mallard. 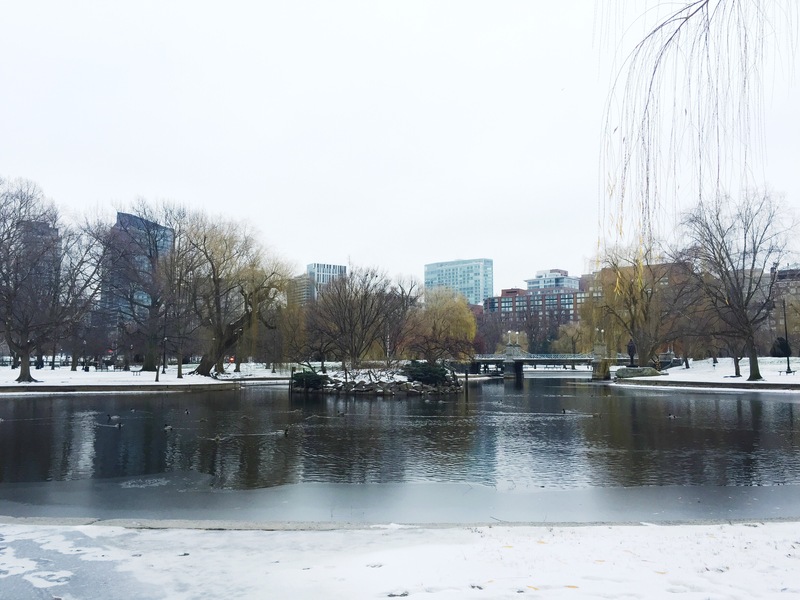 You could also find an ice skating rink in Boston Common, which is right across the Boston Public Garden, and the rink is known as Boston Frog Pond. 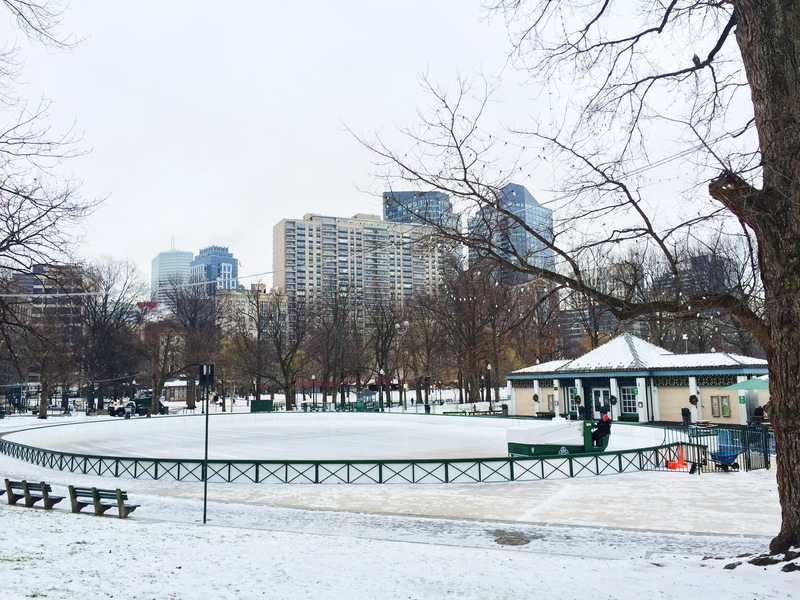 The ice skating rink only opens and available in the winter time because of the cold. In summer, it is open as a pool. The opening time is Monday 10am-3.45pm, Tuesday until Thursday is 10am-9pm, Friday and Saturday 10am-10pm, and Sunday 10am-9pm. It is always a great idea to start your day with all the nature and fresh air surrounds you. 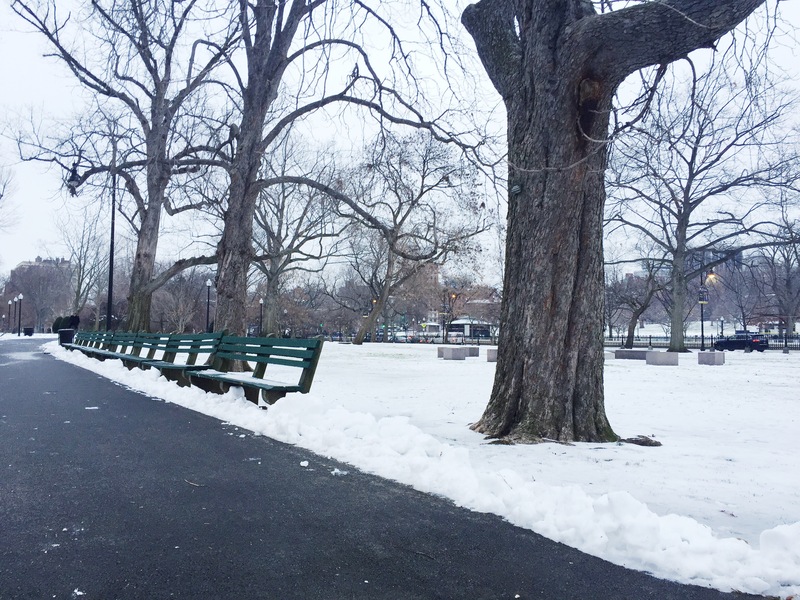 Hope you enjoy your morning walk!